- Strong support from Panasonic’s sales and engineering personnel. - The four-lamp system provides a high level of reliability. - The compact and lightweight body enables the projectors to be installed on high platforms. - Geometry Manager Pro Software and the ET-UK20 Optional Upgrade Kit provide geometric adjustments and corrections for multi-projector setups. 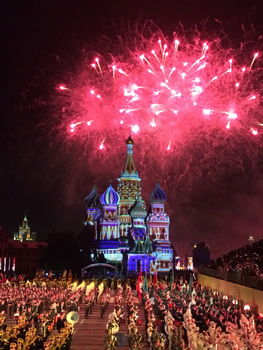 The Annual International Music Festival “Spasskaya Tower” took place in Moscow’s Red Square. Panasonic acted as technical partner for the festival, in which PT-DZ21K projectors were used to create vibrant 3D projection mapping on St. Basil's Cathedral. 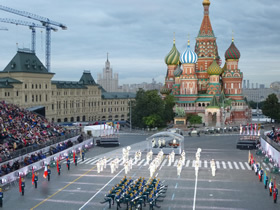 The 7th Moscow International Military Music Festival “Spasskaya Tower” took place in late August – early September, timed to coincide with Moscow City Day, in Moscow, on Red Square. 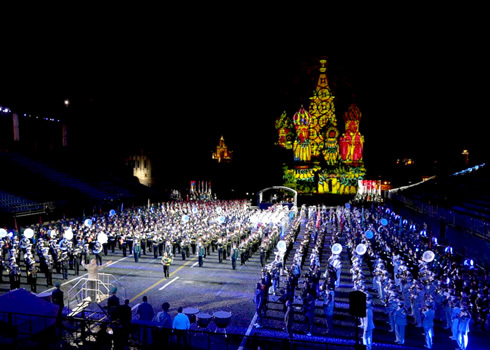 The best Russian and foreign military bands, folk groups, and honorary guard units of the heads of state participated in the massive event. 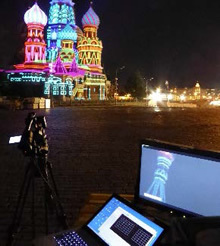 Every evening during the festival, viewers enjoyed a 3D projection mapping show on the St. 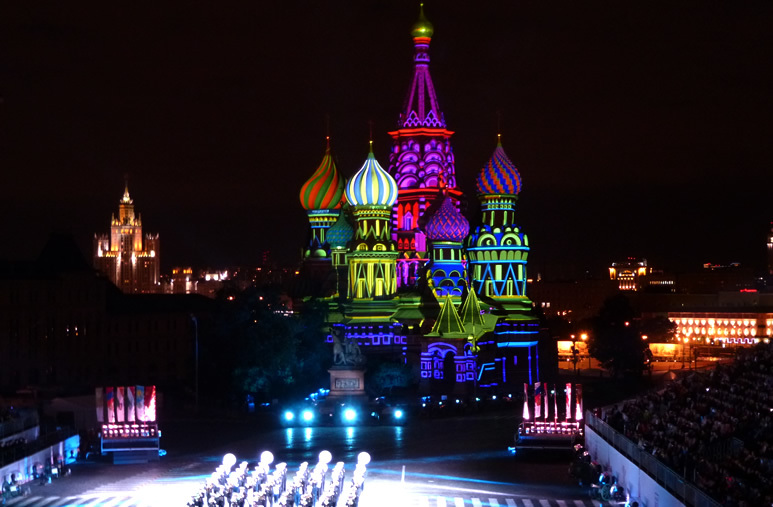 Basil's Cathedral at the end of the performances. St. Basil's Cathedral in the background. St. Basil's Cathedral, a former church in Red Square, is now a museum and well known for its unique and beautiful structure. for their superb performance and high reliability. The PT-DZ21K projectors boast an astounding 20,000 lm of brightness and high picture quality with a compact and lightweight body. 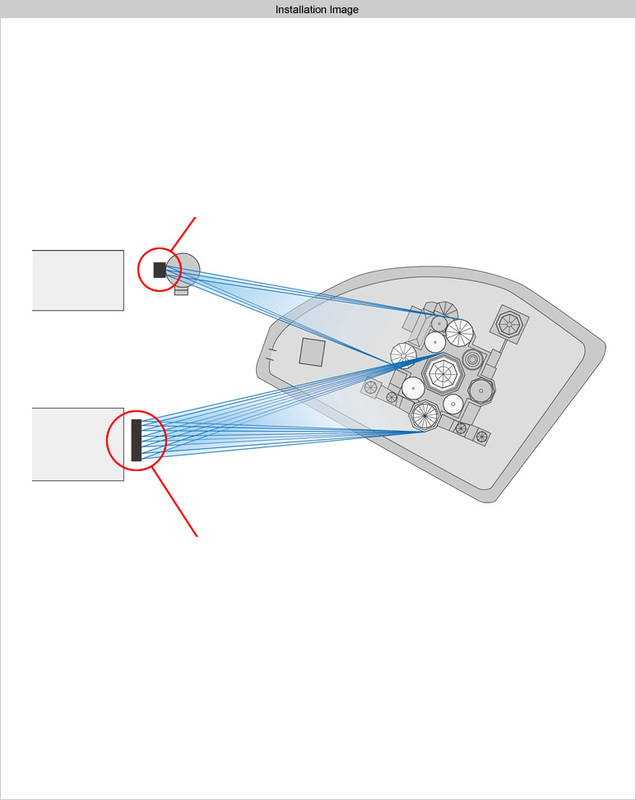 for multi-projector setups in detail. 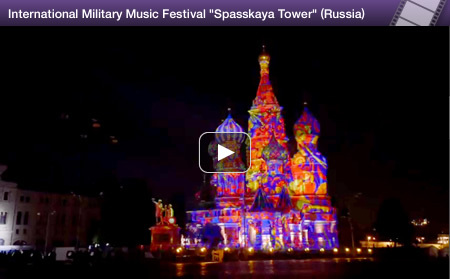 They were an ideal combination for this large-scale projection mapping with multiple units. the four-lamp system allows the projector to keep working and maintains sufficient brightness with triple-lamp projection. These Panasonic’s leading-edge technologies and strong support from Panasonic’s sales and engineering personnel led to a highly successful show. corrections for the multi-projector setups in detail. The gallant march in orderly formation was a fabulous view and well suited to this event honoring Moscow City Day. The festival was concluded with music-coordinated projection mapping and fireworks as the background. All of the festival musicians played the final chords with the light show and fireworks in the background, as the audience enjoyed the grand finale. 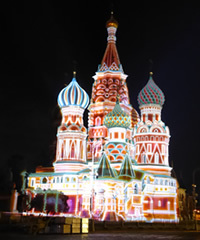 Richly colored rays and fireworks painted a magical beauty in the dark sky of Moscow.